Then I Got To Thinking...: Baby Pictures! Fathers Day weekend, I was looking through the thousands of pictures my parents have tucked away in a cabinet. Some of them made me laugh out loud, and most of them made me think about how quickly time goes by. 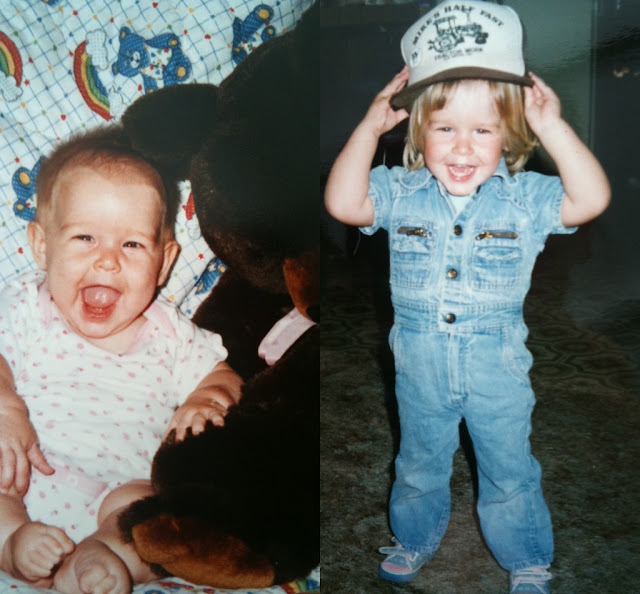 Recently, a fellow blogger showed some pictures of herself as a baby... and I thought it was so cute! So, why not share?! Please, let me know if you show a few pictures from the past on your blog! It's always so interesting to see pictures of your friends when they were a baby! It's so cute that your dad made the crayons! I love old pictures! My mom got all of our home movies on DVD for me and my sister for Christmas. They're so much fun to watch! Awww Trace! You're a little cutie! I went through some baby pictures of Chris with his mom I'll be sharing soon. Love baby photos! So cute! I love looking through old pictures too! Oh my gosh!! Those glasses are too much! Love! Haha I love it! I feel inspired to scan in some kid pics of myself. You were adorable ~ love those crayons!! Awh! You were adorable!!! Love the little crayons! These are so adorable!! What a little cutie you were, girlie! I would have had a hard time putting any of you adorable girls in time out... haha. :) Precious! so cute! the crayon idea is adorable! How cute!!!!! I love getting to see people's photos like this! Those are so adorable. I love the glasses and the hats in those pictures. It's so much fun to look at old pictures. I stumbled upon your blog this morning and then I realized that we have a mutual friend, Kassie from Raindrops on Roses. Glad I found your blog! Awwwwwww, so cute! Love the crayon costumes! awe, cute pics! so fun to go through old pictures!! i would love to show old pics...just need to figure out a good digital scanner option. ha ha, i feel like i am still in the stone ages with that stuff!! I LOVE THE CRAYON OUTFITS! Seriously! Super cute! I love everything about these pictures! How fun to have siblings! these are awesome! 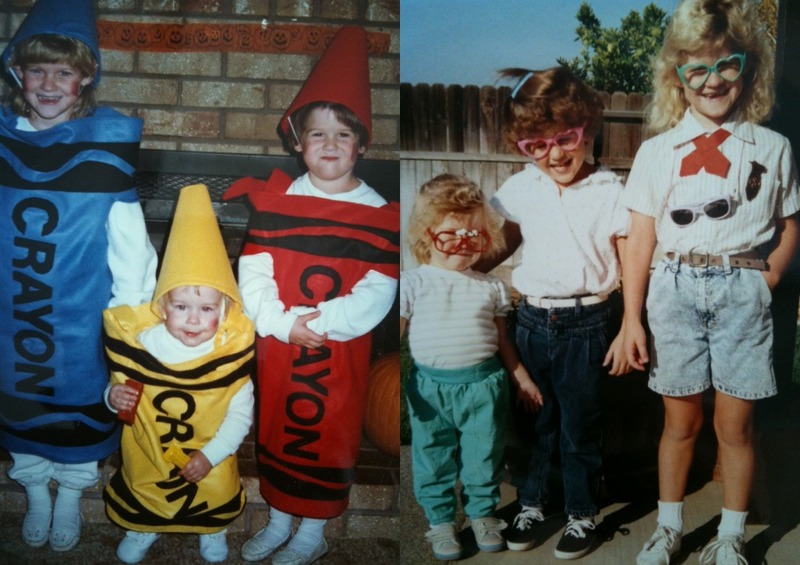 i love that yall were crayons one year LOL!!! !